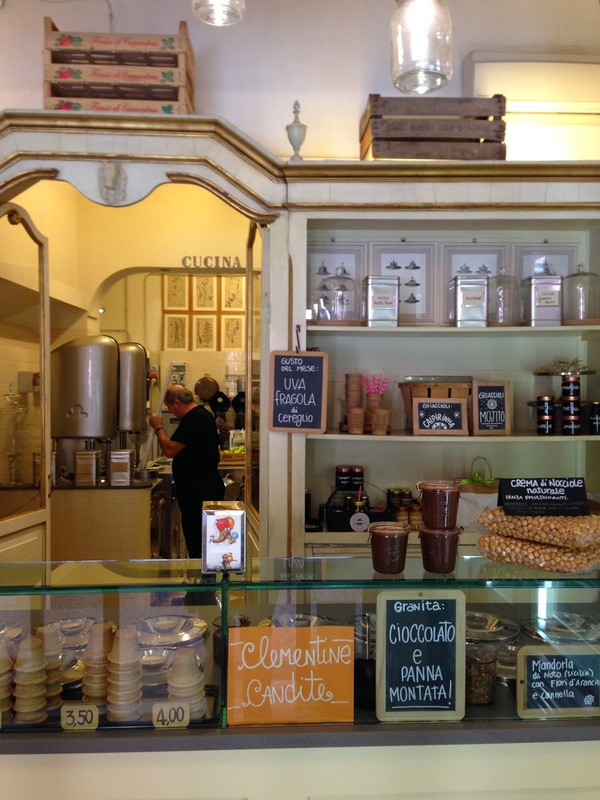 Maribel will be travelling to Massachusetts to teach Bolognese cooking as well as Cooking with Kale (Tuscan style). While the majority of the events scheduled are private events organized by friends, there is one event open to the public. The menu selected is a typical informal meal with Bolognese friends; while generous in terms of number of dishes, the recipes are simple to make. ~ with Italian Charcuterie, Seasonal Fruit with Prosciutto/Speck and Mortadella Mousse. Shubie's Signature wines will be sampled with the food. In order to reserve your seat, you need to contact Shubies' directly at 781-631-0149. 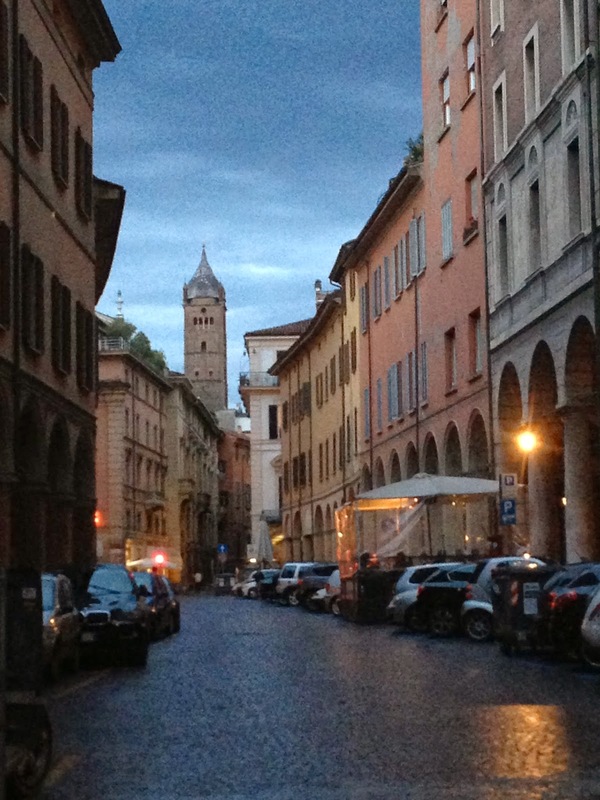 While I am in the USA, our team will still be available to teach in Bologna so if you are in Italy, go ahead and write me an email (see upper right hand corner) to schedule a cooking lesson in Bologna. 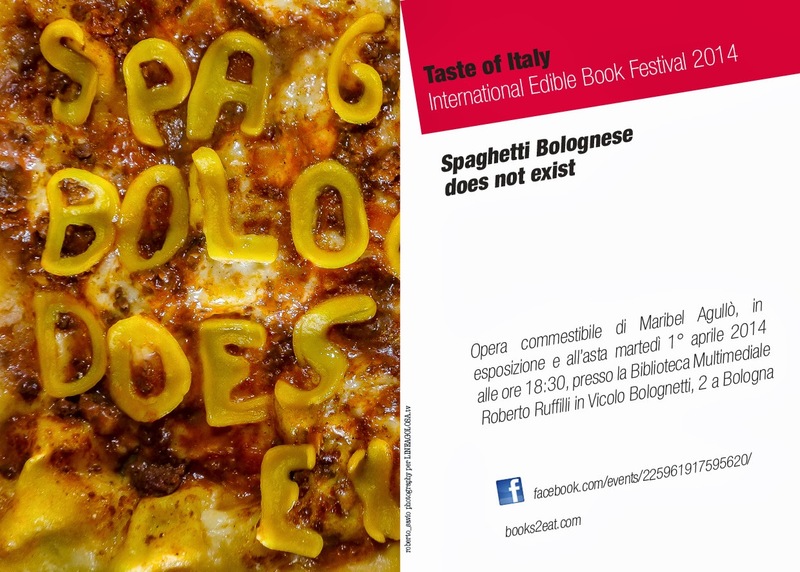 The International Edible Books Festival 2014 will take place in Bologna, Italy on April 1st. Every participant will present an edible "book", or something that represents a literary work in some way and includes words. In other words, a book to eat! Several local chefs will present their edible books/works of art. Taste of Italy will present a cooked Bolognese lasagna (fresh pasta, Bolognese ragù, Parmigiano cheese and home made Bechamel sauce). The text on the lasagna reads: Spaghetti Bolognese does not exist. The idea came about to destroy the myth that Bolognese ragu' is served with spaghetti. Never! With spaghetti, the ragu' stays in the bottom of the dish. In Bologna we serve our namesake sauce with fresh noodles, tagliatelle, which holds the ragù so you actually get to eat the pasta with the sauce. The highest bidder will take a one of a kind, edible piece of art home, just in time for dinner! All proceeds will go to help the Ruffilli Library in Bologna, Italy. To participate in the event, Just follow the following link: Hope to see you there!